Beautifully straight teeth without braces. Invisalign® uses a series of removable, and comfortable aligners – invisible to your friends and coworkers! Not only are the aligners invisible, they are removable, so you can eat and drink what you want while in treatment. Plus, brushing and flossing are no problem. Invisalign® is an invisible, quicker and less expensive way to straighten teeth for anyone 12 and older. It's important to choose the right provider for your Invisalign® treatment. 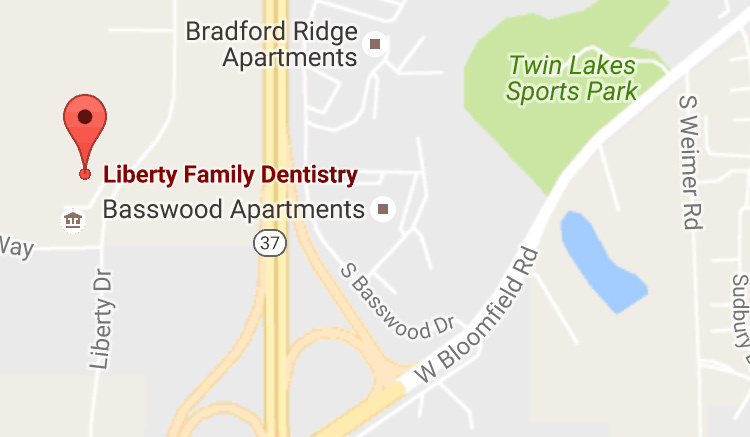 Liberty Family Dentistry is home to two Invisalign® Preferred Providers: Dr. Jeff Jones & Dr. Kelly Jastremski. Preferred Providers have achieved a significant level of experience treating patients with the Invisalign® system. At Liberty we love to create beautiful smiles, but the number one reason we highly recommend straightening your teeth is that straight teeth tend to be healthy teeth. As dental professionals our priority must always be your optimum oral health. Thankfully straight teeth are not only healthy, but also beautiful. Think braces are just for children and teenagers? According to the American Association of Orthodontics, about one in five orthodontic patients today are adults. At Liberty, we do not put an age limit on achieving a beautifully straight smile. We love to help patients of all ages achieve healthy, beautiful smiles. Call 812.339.2811 or use the form below to schedule a complimentary Invisalign consultation. Thank you! Your request has been received. Our office will contact you to schedule your consultation soon.